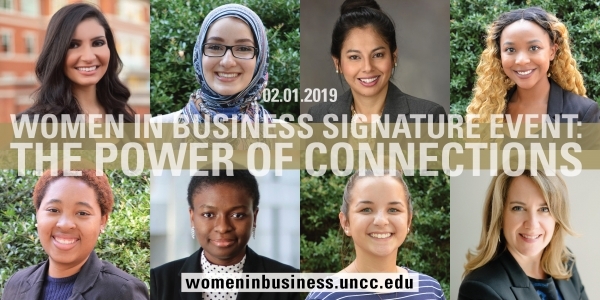 The Belk College Women in Business (WIB) Initiative is hosting a half-day professional development conference for Belk College students and alumni. During the annual signature event, students will connect with alumni and business professionals over a networking luncheon, as well as discover timely insights from the keynote speaker and two breakout sessions, culminating in a Connections Reception where the recipient of the 2019 WIB scholarship will be announced and company representatives will be onsite to share information about their internal womens' networks. Space is limited for this exclusive event! Directions to print a complimentary parking pass will be emailed to registrants in advance. Mrs. McPhilliamy has worked with many industry leaders and disruptors in the consumer and specialty retail sectors. Prior to joining Harris Williams in 2018, Mrs. McPhilliamy spent 15 years at Wells Fargo as managing director and head of Consumer Investment Banking and six years in Morgan Stanley’s Global Retail group and Merrill Lynch’s Financial Sponsors group. Mrs. McPhilliamy earned a B.A. from the University of North Carolina (UNC) at Charlotte and an M.B.A. from the Kellogg School of Management at Northwestern University. She serves on the boards of the Belk College of Business at UNC Charlotte, Cosmetic Executive Women, and the National Mother’s Day Council. Mrs. McPhilliamy has received numerous awards including being named a “Mover, Shaker and Money Maker” by Women’s Wear Daily in 2018, recognized by the Charlotte Business Journal for their “Women in Business” awards in 2017, and was named one of “Beauty’s 50 Most Powerful Women” by Women’s Wear Daily in 2015. View a special video message from keynote Kelly McPhilliamy.